Located east of Malaga, Nerja is a well established holiday resort on the Costa Tropical, the small sister of the Costa del Sol. The resort of Nerja is perched on a cliff face and offers fantastic views especially from its promenade famously known as 'The Balcony of Europe'. 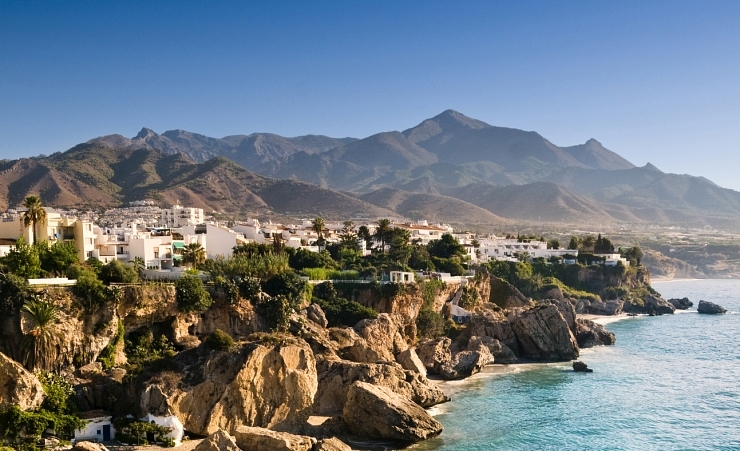 A smaller town to others on the Costa del Sol, Nerja is surrounded by a number of sandy beaches as well as traditional countryside, where mangos, avocados and papayas are widely grown. Nerja has a long history dating back thousands of years which is evidenced by a number of cave paintings found in 1959 and is a popular excursion. A wealth of history and culture surrounds the area from the Roma Aqueduct, to the traditional winding Andalusian streets in the old quarter with whitewashed buildings and houses. Nerja is the perfect place for a relaxing beach holiday with a number of different beaches found in the surrounding area. The main beach offers a range of water sports along with beds or sun loungers although for those willing to travel, quieter beaches can be found further out of the resort. The traditional promenade is backed by a selection of traditional bars and restaurants which are perfect for a break from the sun and to experience some of the great local cuisine.